Pichai was called in to explain Google business practices including data collection and targeting of conservative voices. During questioning Pichai dashed the hopes of Democrats everywhere when he admitted Russia spent only $4,700 on advertisements during the 2016 election. Which is next to nothing… In a campaign where Hillary Clinton spent nearly a billion dollars! Russia also paid around $70,000 on Facebook ads to attract both Trump and Hillary supporters. Russia spent around $6,000 on Facebook ads the last six weeks of the election which had no effect on the election. So we are looking at a total of around $75,000 spent by Russia to run ads on US social media during the 2016 election — both to promote Hillary AND Donald Trump. Meanwhile, the FBI spent much more for Russian dirt than Russia paid on collusion. 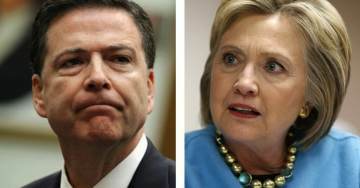 The FBI picked up the tab for the Steele dossier along with the DNC and Hillary campaign. The FBI paid Christopher Steele’s travel and other expenses while he was putting together his slanderous dossier on Trump. The Clinton campaign paid DNC lawyer Marc Elias and his law firm Perkins Coie paid Fusion GPS and later denied knowledge of the same dossier they paid for. And the FBI paid Michael Steele from Fusion GPS $160,000 for travel expenses while he was digging up dirt for his fake dossier. The FBI actually spent more on fake news during the 2016 election than Russia did! You won’t see THAT in the liberal mainstream news anytime soon!